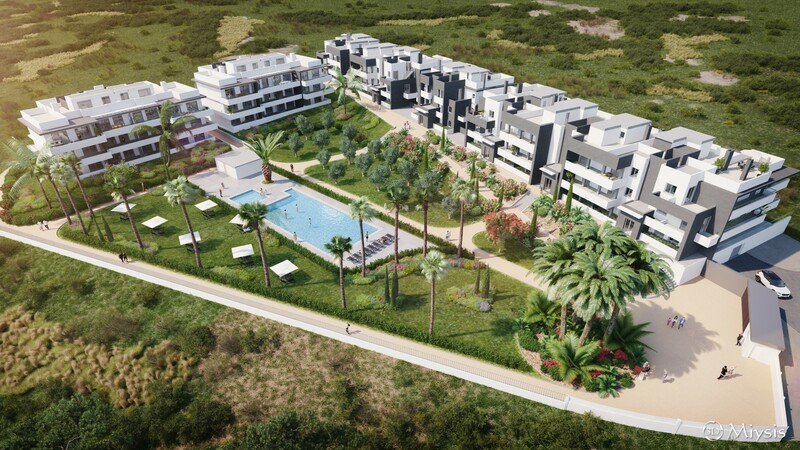 This development is situated in Casares, in a quiet neighbourhood at only 700m away from the beach. It is a perfect location to make the most of the pleasant Andalusian climate all year long. It allows you to enjoy a large selection of sporting equipment, leisure and entertainment, as well as plenty cultural and touristic activities. 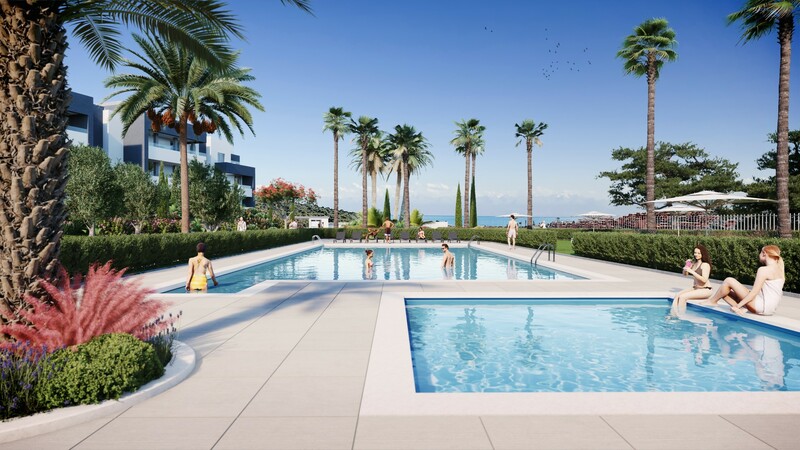 Thanks to its close proximity with Estepona and Duquesa marinas, the water sport lovers will be able to enjoy their favourite hobbies wholeheartedly! Of course, this region is also perfect to play golf. The complex is an enclosed compound of only 66 apartments of two or three bedrooms, extending on 3 levels. 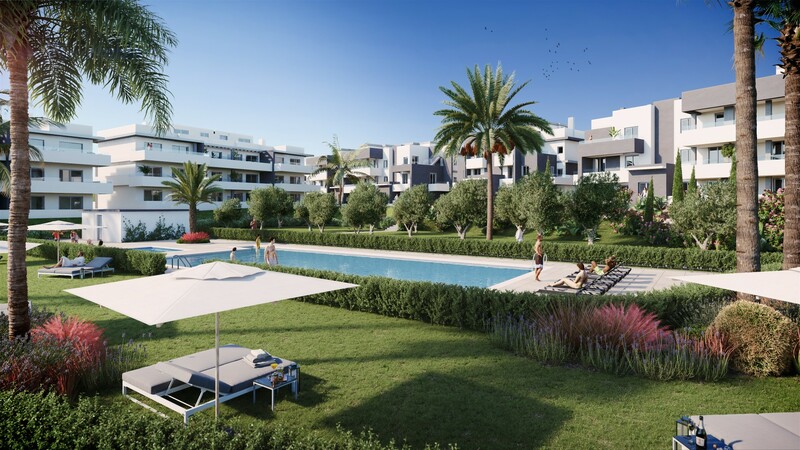 The apartments are harmoniously distributed around the communal areas comprising gorgeous gardens and a large swimming pool. 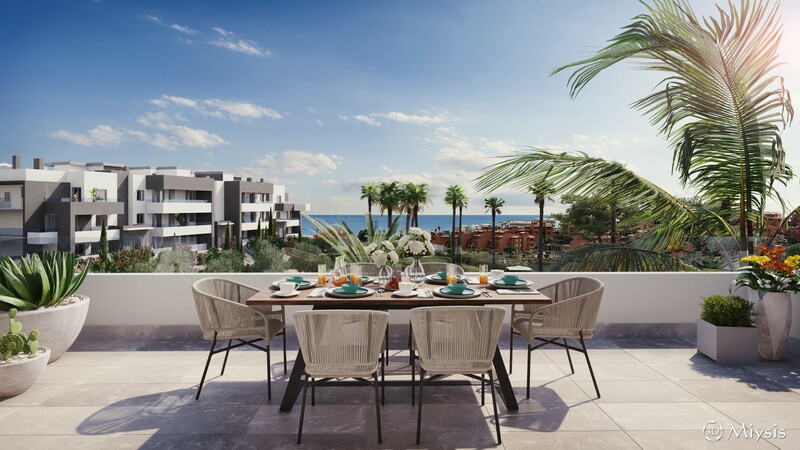 They all have terraces with an important surface area (ranging from 25 to 165 m²), offering very pleasant clear views on the communal garden, the mountain and the sea. 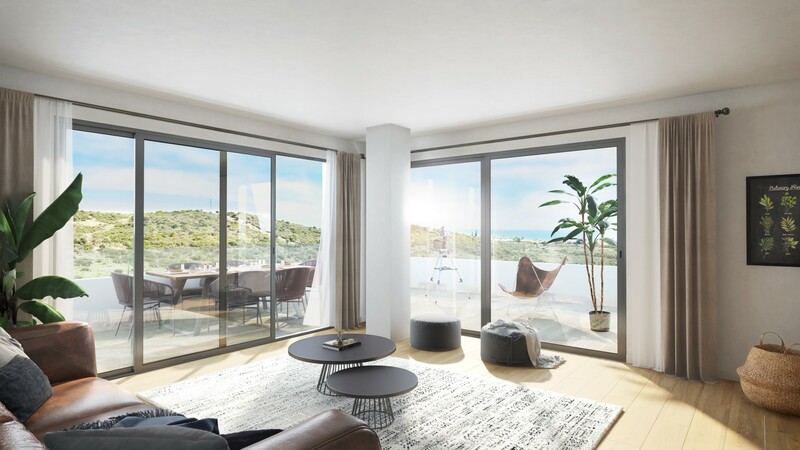 The ground floor units comprise a terrace and a garden, the first floor units have beautiful terraces ranging from 25 to 35 m², and finally, the second floor units offer a nice solarium on the roof, in addition to a terrace. Since most of the terraces have a south-southeast orientation, it is a perfect place to enjoy the sun and light all day long. 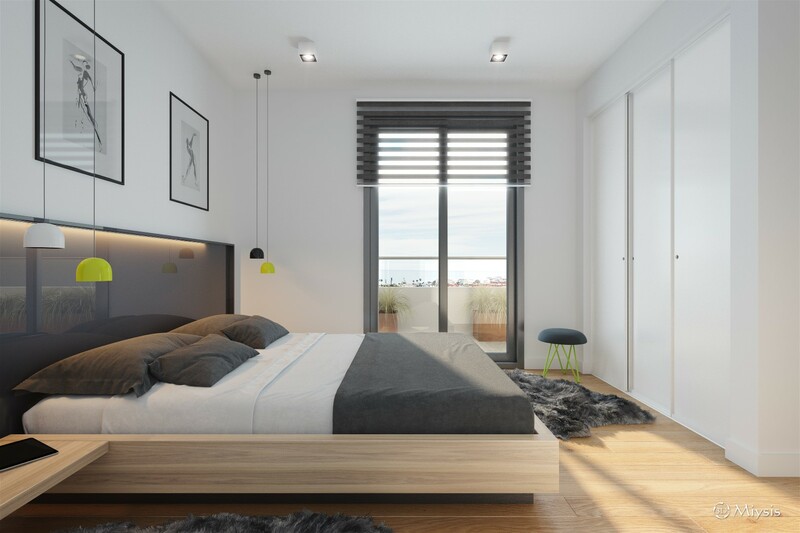 Inside, the units are modern and cleverly laid out in order to take advantage of the space and maximize the brightness of the rooms. 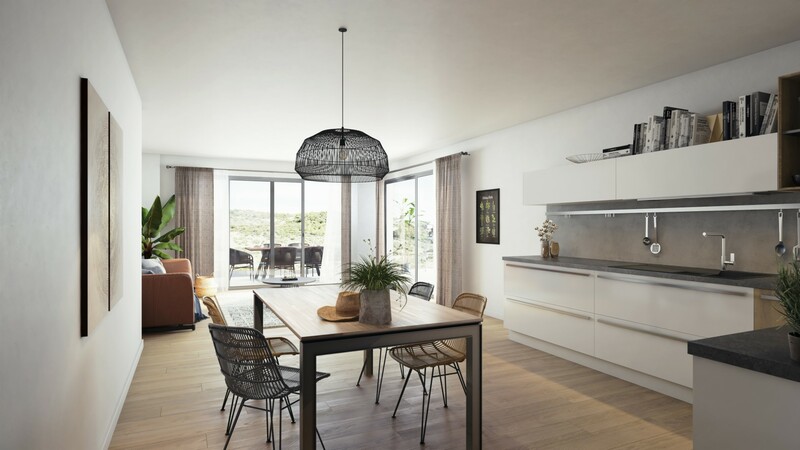 Basically, there are bright open-plan kitchens, very convenient laundry rooms and a sufficient amount of storage space and built-in cupboards. 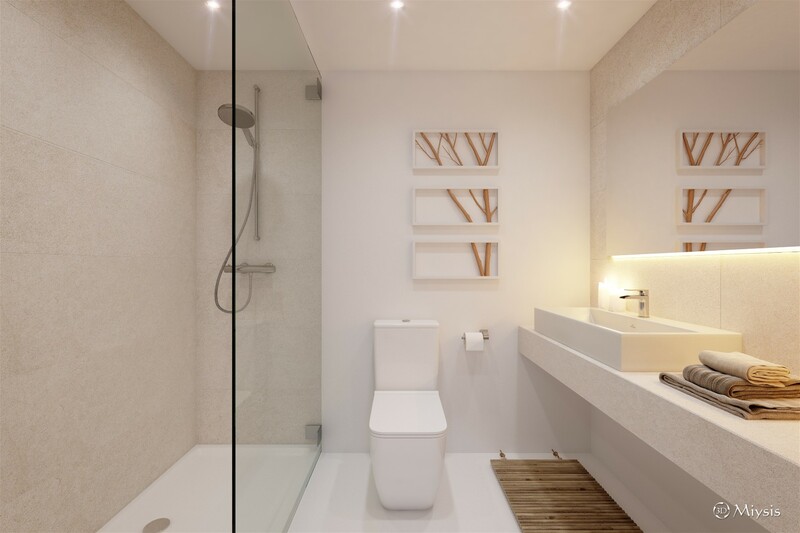 Each unit is sold with a parking space and a storage room, both included in the sale price.